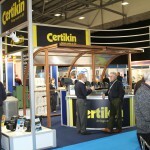 Wet leisure powerhouse and hot tub product specialist Certikin has announced that it will be covering multiple bases to highlight its status as Britain’s number one supplier with the largest stand presence at SPATEX. Featuring a spacious hospitality area, visitors to the Certikin stands can view the cream of 2017’s crop of new products and taking centre stage will be the stunning Caldera Spas Utopia Series Cantabria model during SPATEX, running from Tuesday, January 31, to Thursday, February 2, in the Ericsson Exhibition Hall of the Ricoh Arena in Coventry. The eight-person Cantabria, like the rest of the cutting-edge Utopia range produced by hot tub giant Watkins Wellness, has been restyled and features a new high-tech cabinet. Details are kept minimal, elegant and contemporary. The new curved bar top design adds to the spa’s signature look and creates a strong visual impact. “Along with a complete exterior and interior redesign a number of new features and enhancements include lightweight, easy snap-on panels and door, making them easy to handle,” said Certikin Commercial Director Ben Studdy. On the second day of the exhibition, Wednesday, February 1, at 11am, Certikin Commercial Manager Steve Nelson will be giving a seminar in the Ricoh Seminar Arena 2 on the trailblazing OC-1 filter media to increase awareness and enhance its presence in the market. The ground breaking OC-1 filter media, launched in early 2016 and promoted at last year’s SPATEX , is stealing a march on traditional filters. This time round Certikin will be utilising its SPATEX presence to showcase two new complimentary OC-1 filters for both the commercial and domestic markets. To promote its ever-expanding range and the fact that a new product line-up would not be complete without a new Dolphin, Certikin has also revealed that it will be highlighting the commercial Wave 200 floor cleaner to SPATEX visitors. Meanwhile on Certikin’s Calorex stand, the Calorex FX System will be making its debut. It is being proclaimed as a fresh air ventilation system that delivers up to 95 per cent heat recovery and uses outdoor air to provide dehumidification. On the CertiDos Stand D14, which is once again promoting innovative technology for automated dosing systems, there will be the opportunity for visitors to view the new VGE Pro UV-C system and Active Oxygen & pH dosing panel. Certikin Marketing Manager Cath Saunders and the company’s exhibition team members will also be highlighting Certikin’s complete ‘one-stop-shop’ capabilities for current and prospective hot tub and pool customers, which are combined with inclusive professional support services. 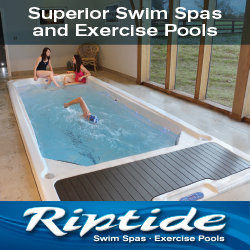 “No other wet leisure supplier can provide this extremely high level of support that we can,” said Cath; “That’s what sets us apart from other companies. For further details about becoming a Caldera Spas hot tub retailer visit the Certikin Stand D10 at SPATEX or call Certikin’s Endless Summer Team on 01993 778855.